In Windows, there are two approaches to accessing Git repositories using SSH. Command line Git distribution and posh-git are preconfigured for OpenSSH, while SourceTree by default relies on PuTTY. Using the same keys with both stacks is a bit tricky because they use different formats for storing both private and public keys. 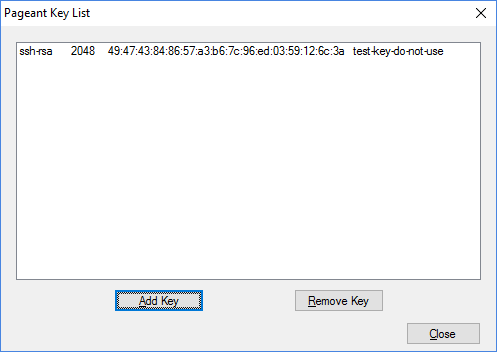 While you could always generate two different keys and configure the servers to accept both, there is also a way to convert between the two formats using PuTTY's key generation utility puttygen.exe. You only need to worry about the private key, since it also includes the public key information. To do the conversion, load the key in .ppk format in puttygen.exe (using File > Load private key menu item) and save it again in OpenSSH format (using Conversions > Export OpenSSH key menu item). You can also use puttygen.exe to convert the key in the opposite direction: import the key in OpenSSH format (using Conversions > Import key menu item) and save it in .ppk format (using File > Save private key menu item). To get the latter, again load the private key in puttygen.exe and copy the text from the text box at the top of the window, appropriately labeled with _Public key for pasting into OpenSSH authorizedkeys file.